The prices published on our website DO NOT INCLUDE THE IGV TAX (General Sales Tax) equivalent to 18%. IMPORTANT: Residents in Peru and foreigners with more than 60 days of stay in Peruvian territory, must pay the IGV Tax (18%), which will be charged at the reception of the hotel at the time of entry. Hotel Golden Inca has created this statement to demonstrate our firm commitment to privacy. The following information reveals our collection and dissemination practices of this website: www.hotelgondeninca.comThis site may contain links to other sites. 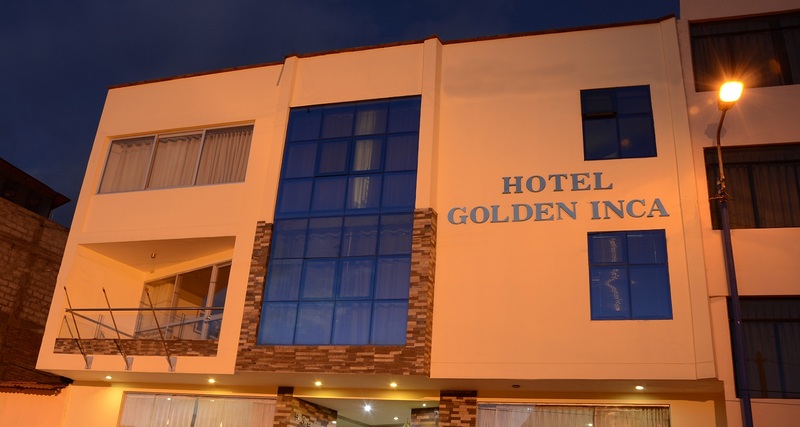 www.hotelgoldeninca.com is not responsible for the privacy practices or the content of such websites. Our site uses a contact form for customers to request information, products and services. Within these forms, we collect contact information (such as your email address). The contact information on the order form is used to send the promotional material of our property only. We do not share this information with other companies. The customer's contact information is also used to contact the visitor when necessary. Users can choose not to receive future communications by e-mail; requesting to cancel your subscription. Please allow 4-6 weeks for this to be processed. At any given time we could use IP address to help diagnose problems with our server and to administer our website.